Eye On South Florida along with Host Max Tucci was on the red carpet, at the parties, on Main St., and on the slopes catching up with actors, writers, directors, producers, and film goers. PARK CITY, Utah (AP) — “Whiplash” is among the winners of the Sundance Film Festival. The dramatic story of a jazz drummer aspiring to greatness won both audience and jury awards for U.S. dramatic films Saturday at the festival’s closing awards ceremony. The musical drama by writer-director Damien Chazelle opened the independent film showcase last week and rode a wave of positive buzz throughout the 10-day event. Chazelle made his Sundance debut last year with a short version of “Whiplash” intended to gain financial support for the feature-length film. The feature stars 26-year-old Miles Teller as an aspiring jazz drummer in pursuit of excellence and veteran actor J.K. Simmons as his unforgiving instructor. Chazelle thanked his actors “who really made this movie work.” The 28-year-old filmmaker drew on his personal experiences as a member of a high school jazz band as inspiration for the film. The documentary “Rich Hill,” about a tiny town in Missouri, won the jury award for U.S. documentary. The American documentary about dementia and music, “Alive Inside,” won the audience award. 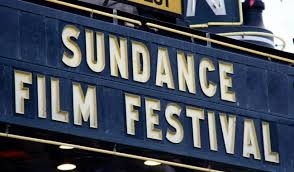 The Sundance Film Festival wrapped up Sunday.